This ballroom decor at the Beverly Hills Hotel was inspired by French design. Nikki Khan at Exquisite Events handled coordination and design, while Asiel Design provided the beautiful floral arrangements which included vases draped in lace and pearls. 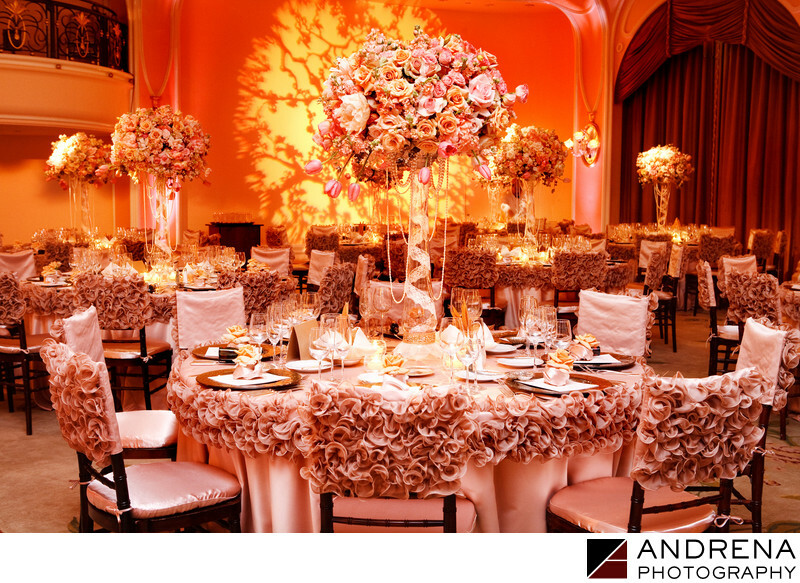 The custom linens were provided by Wildflower Linens, and gobos in tree patterns were projected on the walls.